Invite large user groups and spread knowledge effectively. The unlimited user model in Coursepath supports a broad approach to sharing knowledge. Administering large user groups however can be difficult, which is why technical help is needed. Bulk editing allows you to easily manage large groups of members and quickly get your trainings up and running. 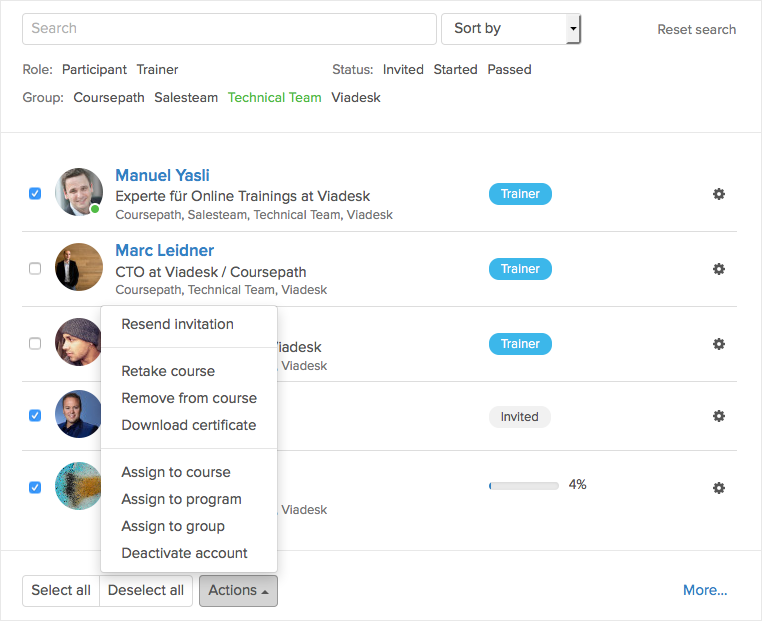 You can bulk assign members from the academy level as well as from course level. Moving all participants in a course or just a part of them to a different course or course program is done in no time. You can also make use of the different search filters available in the members overview. This way you can e.g. select only those who passed and then download all their certificates at once in one handy ZIP file.